Tracking mileage for work, personal business, charitable purposes, etc. can be cumbersome. Producing mileage records for an IRS audit can send one into a panic. I recently found a very cool tool to keep your mileage records that is very easy to use, Mileage Trakker, and wanted to share it with you in hopes of relieving stress from keeping mileage records. HOW DOES THE MILEAGE TRAKKER WORK? 2) You plug into the OBDii port in your vehicle. (NOTE: all NA Vehicles built in 1996 or later by law must have an OBDii port in the vehicle). There is no need to turn it on or off. It automatically records your trips. 3) We will create a chronological record of all your trips. 4) You will tag each trip business or personal & add a brief description of the business purpose (for business trips) via e-mail or text message. 5) For a monthly subscription fee, we will send you a monthly report that will detail all your trips and will include your tags so it is ready to submit to your accountant, your bookkeeper, your employer or to have as a backup verification if you do your own income tax. You will no longer have to keep track of odometer readings, trip mileage, or go to map sites to reconstruct the distances you travelled to appointments or businesses events. Yes, you will get back about 35 hours of your time! HOW DOES THE MILEAGE TRAKKER PUT MONEY IN YOUR POCKET? The Mileage Trakker helps you maximize the money you can deduct on your income tax or receive in reimbursement from your employer. Even those of us who have been trying to maintain a mileage log usually are missing about 20% of the miles we could have claimed because we forgot to record those miles or later couldn’t reconstruct all the mileage we drove for business. Now, you will not miss any miles! Recording mileage just got a whole lot EASIER and a lot more PROFITABLE. PS If you know someone thinking of engaging in a real estate transaction, that would appreciate concierge like service, I would be delighted to help! So as these people come to mind, please let me know. I promise to take excellent care of them! Develop Dunwoody – Just Listed!! Unique opportunity to develop in Dunwoody! Dunwoody is in demand; new construction of high end homes happening all over the immediate area! VERY difficult to find land in the area. This is your chance to establish a legacy in Dunwoody! All utilities, including public sewer and water! Easement into cul-de-sac on Georgetown Way! Combine with property directly behind for a total of approx. 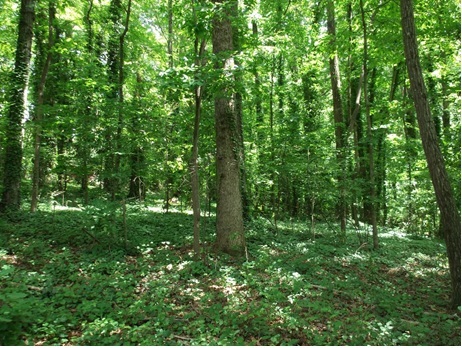 4.5 acres & potential for 5-6 homesites! EASY access to 285, hospitals, Perimeter Mall & Downtown Dunwoody! Walk to Marta, local shops & restaurants! If you or someone you know is interested in this truly RARE chance to create new dwellings in Dunwoody call me NOW before someone else scoops it up!